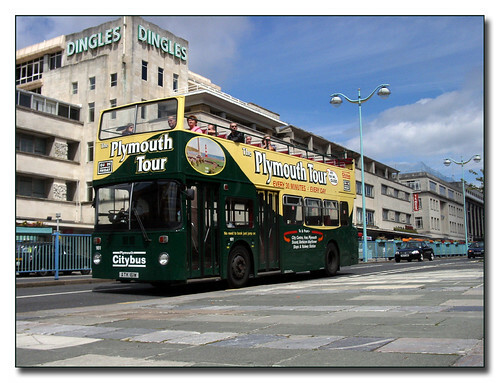 Plymouth Citybus Atlantean 161 operating the Guide Friday open top tour way back in 2002. One of the many things that has changed since then - there are no more open toppers running in Plymouth. This does seem a real shame and a terrific waste. The route around the Hoe really should be done on an opentop bus. Its the only way to see this fine bit of the coast.